Introducing Foodzie, essentially Etsy for food. We think they should have called it "Eatsy", but that's neither here nor there because it is awesome. Foodzie serves as a platform for small local gourmet producers to get their food in front of a wide audience, and allows you access to an exciting selection of goodies from specialized purveyors. Everybody wins. The website is divided into helpful categories of sauces/condiments, snacks, coffee/tea/drinks, cheese/dairy, meat/seafood, bakery, chocolate/candy, and gifts. Posts are also demarked with banner labels when they are local, and, ingeniously, you can browse a google map in search of purveyors from a particular region. Here are some of the selections that we found most mouthwatering. Really, this deserves its own post. It's own shelf in my pantry. It's own place in my heart. 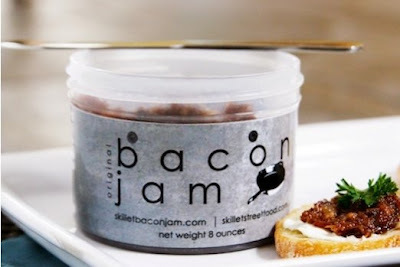 To make their spreadable porky condiment, the Skillet Street Food team says, "we take a big bunch of really, really good bacon and render it down...add a bunch of spices, onions, etc...and let it simmer for about 4 hours...give it a quick puree, and blast chill it...and you have bacon jam..."
Preserved 100% organic Northern California tomatoes. Just looking at these things, you can feel the warm California sunshine on your face. Who wants to go on a bike ride? 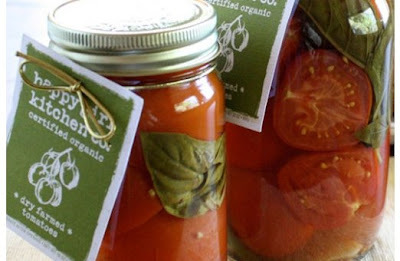 That is, after a quick morning Mary made with her spicy organic tomato juice. American artisanal cheesemaking is so exciting right now, and these thimble sized French-style buttons are just the start of it. The "very shy" Santos brothers operate their third-generation dairy farm out of Westport Point, Mass. They're conscientious of environmental impact, treat their animals with respect, and never use antibiotics or hormones with their dairy cattle. 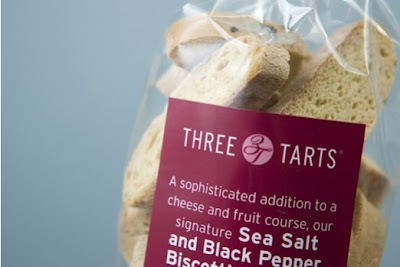 The three tarts - literally, three tarty ladies - operate a charming bakery out of Chelsea, New York. 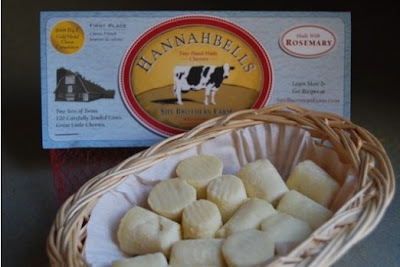 Here they bring you a lovely addition to your next cheese plate. Also perfectly suitable for dunking in that glass of red wine, which you are of course also drinking. 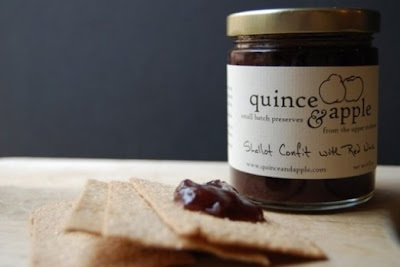 The adorable DIY midwest couple of Matt and Clare personally produce limited edition collections of seasonal smears and jams. This shallot confit is "a robust, self-assured preserve with an elegant streak. 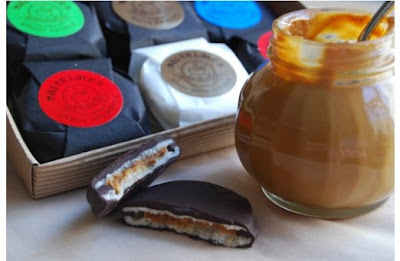 Bold red wine brightens the deep caramels of slow-cooked shallots." Please, someone send me a turkey sandwich so I can comingle my flavors. Where has this website been my whole life?!? THANKS! !